Catching the perfect wave requires a couple of things lining up at the right time. Anaconda Mining is setting up the same way as the “perfect wave” and primed for the “perfect ride”… one where investors getting in early… can really take advantage of all the great prospects the company has now and lined up in the near future. Properties must have a substantial amount of obtainable gold or another mineral resource that processes very high grade as well as an abundance of ounces. Management must have top level key contributors in the right positions. Location in a mining friendly district which appreciates the creation of jobs as well as increased revenue it can provide to the region. Anaconda Mining (ANX.TO) has a management team with over 100 years of combined experience in mining operations. The leader of the team is Dustin Angelo, CEO and President. He comes from an accounting background and has an undergraduate degree from Georgetown University and a MBA from Columbia University. Dustin is a very sharp “numbers guy” and knows how to stretch a dollar and maximize value. He also has the skill set to motivate employees and keep everyone focused on the task at hand. Dustin has managed to keep the company together through the lean years with plenty of grit and determination… The company has been able to keep a mine operating with relatively low-grade ore… yet still has managed to turn a small profit. These were very lean years indeed for almost all junior miners… survival was the modus operandi for most mining companies and many sadly fell by the way side. 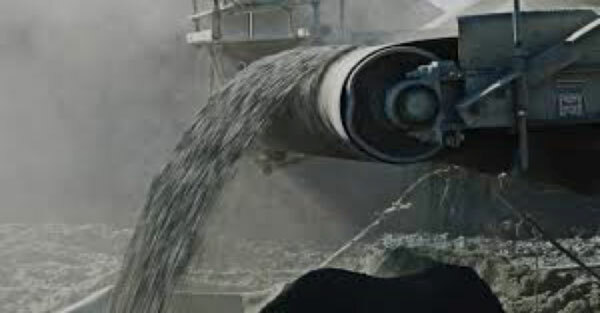 There is a positive aspect as there are further properties coming online soon that will be able to feed the mill with much higher-grade ore and will add profits. I met Dustin for the first time at the Beaver Creek Mining show and was very impressed and had a hard time tracking him down. He was busy talking to various analysts and investment bankers. Dustin was pitching the story of Anaconda, as many have yet to discover… it was fun to watch. This was an excellent opportunity and evolving story that is by no means ready to end. Investing for growth with the right company at the absolute right time when gold is believed to be getting ready to take off on a run again. Another very key figure for the company is Allan Cramm, VP/ Innovation and Development. He is a career mining veteran whose family has ties to Newfoundland for many generations. Allan is a very solid asset for the company, and he has a knack for thinking freely and is constantly looking for fresh new ways to look at things and improve upon efficiencies. Along with the title of VP/ Exploration and Innovation, he oversees the C$3.5, narrow vein mining research and development project. Anaconda Mining is partnered with Memorial University and has received $1.5 million in funding from the Atlantic Canada Opportunities Agency, as well as grants from other agencies to create a technology to economically mine underground single, stranded vein deposits. Successful implementation could open up opportunities to Anaconda that are not open to other juniors in Atlantic Canada. The company is making headway on its aggressive plans and it is very exciting. This could really be a game changer for the entire industry, and it has been entrusted to Anaconda… quite a testament to the company and team of ANX. Noteworthy, Allan also came up with the innovative idea of selling Anaconda’s mine waste as an aggregates product. With the help of some partners, they sold 3 million tons to a terminal expansion project in South Carolina. ANX generated approximately C$2M in additional revenue in a 14-month period. Historically, aggregate waste rock is looked upon as a burden and an expense… rather than turning it into a profit maker. The next key member of management is CFO Robert Dufour. He is relatively new to the company but has great operational and deal making experience. That dynamic is very exciting, as the long-range plan for Anaconda is to become a hub for smaller mines from around the Maritime area… like those who aren’t able to afford or utilize a mill of their own. Bringing all of them under one umbrella would be a major coup for this dynamic company. Another key member of management is COO, Gordana Sleplev. She has been with the company for five years now, progressing from the VP Technical Services role to the Chief Operating Officer. She is very pragmatic and focused and has developed and integrated a grade control system that was able to decrease mining dilution from 25% all the way down to 5% by using Blast Movement Monitors and GPS on the shovel. For this small operation, it meant an increase in site EBITDA over 20%. She is very environmentally conscious and is minimizing the impact of mining operations on the environment. Gordana came up with the idea of using the Pine Cove pit as an in-pit tailings storage facility. The newly permitted tailings facility has a storage capacity of 6+ million tons that can store tailings for another 15 years. She works very closely with Tony Chislett, Operations Manager and the fact that she was able to turn a profit working with 1.3g/t ore speaks volumes of her management skills. Another key figure is Paul McNeill, he’s the VP/ Exploration. He has been working with the company for the last 3 years. I’ve tried to speak to him on many occasions but just can’t seem to catch up with him, (which is actually a positive thing as he is too busy to slow down from his fast-paced daily approach). I look forward to meeting him, as I would like to pick his brain regarding his thoughts on the potential of the Goldboro property. I know he’s very excited about the prospects of the project and its untapped potential. The VP/ Public Relations is Lynn Hammond. Her job entails working closely with the local & provincial governments and to make sure that everything goes smoothly on the permitting side. Lynn also works closely with the First Nations in Nova Scotia with respect to the permitting process. Lynn also keeps the company relevant by keeping press releases flowing and keeping ANX topical on the various social media platforms. Last but certainly not least is the COB/ Jonathan Fitzgerald. He is the founder of Stope Capital, a company that is very successful in raising funds and seeking out new projects. He came on board with Anaconda when he was CEO of Orex Exploration. He was instrumental in the merger of the two companies that were a true example of synergy. The merger of a fantastic gold rich property with an efficient mill starving for a new source of high grade gold. After the merger, Jonathan took over as Chairman of the Board. He’s the consummate deal maker and brings much to the table. Jonathan is a graduate of the Wharton School of Business. Similar to another graduate of Wharton… he certainly can hold his own in the "art of a deal". Anaconda has two main properties, Point Rouse where the mill is located in New Foundland, and where they just announced a new deposit- Argyle. The Crown Jewel of all the Properties… Goldboro… which lies in the mining friendly providence of Nova Scotia. Goldboro at one time was drilled aggressively by Osisko Mining and they came up with some very interesting grades and intercepts. However, it was dropped as a project because of the declining price of gold and also the total overall lack of funding for mining during this downturn. Osisko is primarily known as an open pit operator and they felt the potential wasn’t there to do it in Nova Scotia at that time. Their loss is Anacondas gain!!! With the merging with Anaconda, it enabled them to pursue it as a narrow vein project/open pit hybrid. Current plans are to continue to do infill and expansion drilling to demonstrate the ability to substantially grow the deposit. It is in a local geologist’s words “an absolute beast” with exciting potential of what it might eventually yield. Currently it has 850,000 proven ounces of gold and after some infill drilling and a forthcoming PEA… the possibility of grades and ounces should increase is reasonable to expect. Many seasoned geologists feel they can easily double the reserve by increasing the strike and going deeper. It’s never been drilled more than 350 meters deep, and the current drill program is looking well beyond that. Those findings have the possibility of being a game changer for Anaconda. In my opinion this is a company on the move and on the upswing. It consolidated its shares in January and the price has held steady since then. They recently gained research coverage from two analysts and coverage by Bob Moriarty of 321gold fame. My goal was to try to bring this mostly unknown, unloved, under the radar company to light. The most amazing thing in my eyes is how undervalued this company truly is. It is trading at 38 cents which is only valuing the whole company at around $40M. In my eyes this is absurd when you factor in a profitable mill and all the infrastructure that entails. The Goldboro property alone is well worth the current market cap in my opinion. Factor in a focused and driven CEO who demands and brings out the best in a young, aggressive workforce and adding the seasoned veterans that hold key positions, and you have the formula for success. The Jr. Mining sector as a whole, is in an absolute funk. It is not easy making money in this sector but believe me it can be done. I’m living proof of that. The main thing is PATIENCE just as I described earlier in catching the perfect wave. You must have the intestinal fortitude to stay true to your convictions and view a weak share price as a buying opportunity and not a detriment. As long as the company you are investing in is staying the steady course and working behind the scenes to grow and improve. Anaconda has a great website that is informative and current and should be explored. The company has many You-Tube videos that are very topical and well done. Their social media page is updated frequently and keeps investors informed as to the progress of the company. CEO Dustin Angelo is approachable and can lay out the story of ANX in full. He is very active at trade shows and Mining Conferences. The shows are hard work when you don’t have a booth they require extra legwork and determination. It is rare to have a CEO working the floor and trying to get your company attention and interest in this very competitive arena. He has been steadily upping the Promotion/Marketing aspect of the company to get the news out. It should really pay off in 2018, I’m banking on it!!! This report is my opinion on Anaconda Mining. It is not investment advice. It is meant to bring attention to a company that I think is worth investigating. I am biased as I hold shares. Do your own due diligence and take responsibility for your investment decisions. Blue Sky Marketing is a contract marketing firm connecting under valued Jr. Miners with interested investors. It is run by Kevin Dougan, a former IR person and 15 year successful investor and follower of the Jr. Mining Sector.